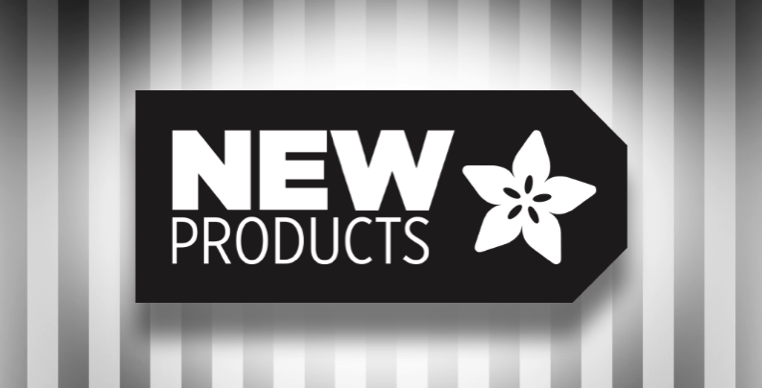 New Products 3/20/19 Featuring ADX343 + ADT710 #Sensor #FeatherWing! 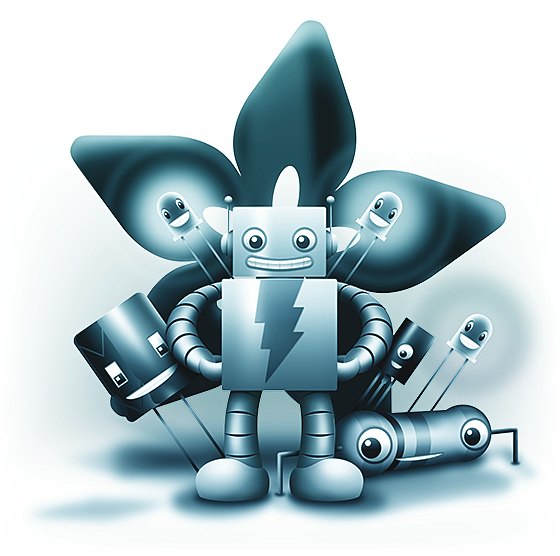 #adafruit « Adafruit Industries – Makers, hackers, artists, designers and engineers! 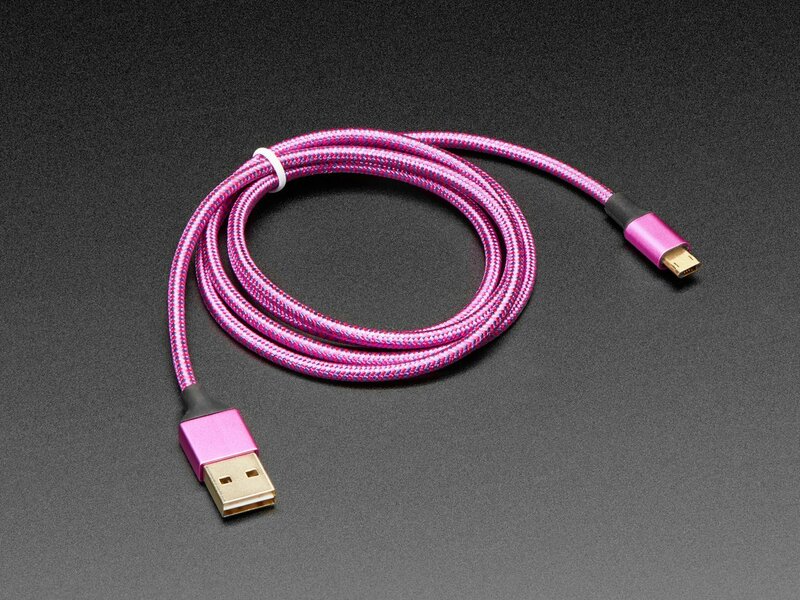 Fully Reversible Pink/Purple USB A to micro B Cable – 1m long: This cable is not only super-fashionable, with a woven pink and purple Blinka-like pattern, it’s also fully reversible! That’s right, you will save seconds a day by not having to flip the cable around. First let’s talk about the cover and over-molding. We got these in custom colors, and if you have to have visible cables, then you might as well have the nicest fabric-bound cable with a eye-catching python pattern. 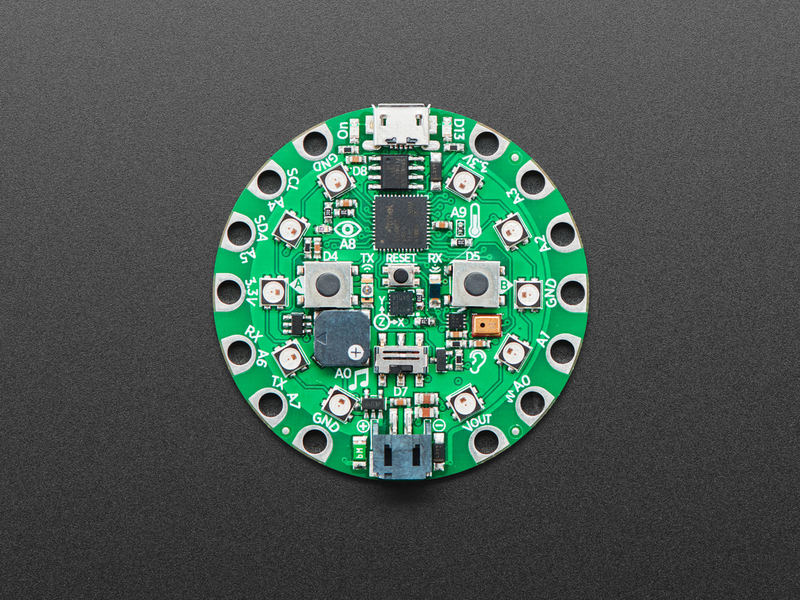 Perfect for connecting to your PyPortal, Circuit Playground Express, Raspberry Pi, CircuitPython board among other things. See more! 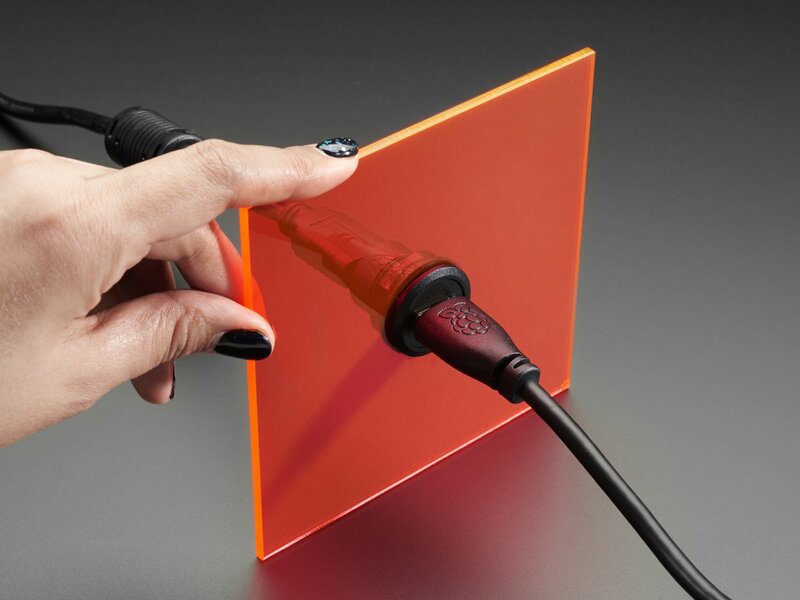 RJ-45 Ethernet Round Panel Mount Adapter Plug: If you need to add a panel-mount connection for HDMI, but don’t have the time or ability to cut a custom oval or square hole, this HDMI Round Panel Mount Plug is the easiest and fastest way to panel-ify your existing HDMI kit. It’s about 30mm in diameter, so you can drill a hole in your wood, plastic or metal with a common hole-saw or bit, no special shapes or filing required. Un-screw the plastic nut, insert the plug and re-attach. Ta-da! Now you have two HDMI sockets on either side for connecting any cable. See more! PocketBeagle – Pocket Size BeagleBone Linux Computer: Want a powerful 1GHz AM3358 powered Linux single board that’s ultra-tiny and open-source? PocketBeagle offers a wealth of computer power in a small footprint (pawprint?). 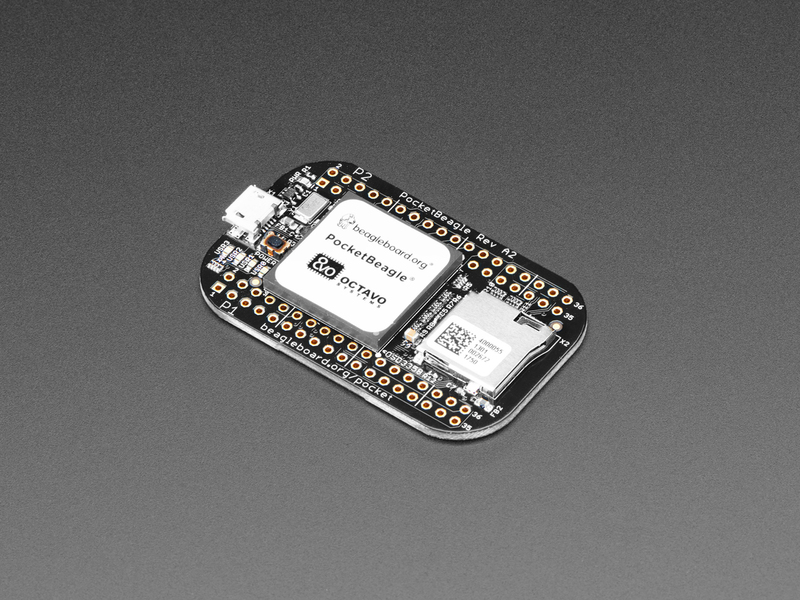 This board is just like the BeagleBone Black but small enough to fit in your wallet. It has a fully-integrated chip that combines the processor and RAM all on one chip, so it’s super small. Despite the compact shape, there’s 72 total breakout pads, a microSD card slot for your filesystem and OS, and a native USB connection. See more! Circuit Playground Express for 4-H: Coming soon! Sign up to be notified when it’s in stock! Circuit Playground Express is the next step towards a perfect introduction to electronics and programming. We’ve taken the original Circuit Playground Classic and made it even better! Not only did we pack even more sensors in, we also made it even easier to program. This version is 4-H themed, for use by anyone, but comes in a special green color and with the 4-H emblem on the back, to celebrate the positive youth development and mentoring organization. See more! Adafruit ADXL343 + ADT7410 Sensor FeatherWing: Upgrade any Feather board with motion and precision temperature sensing, with this all-in-one sensing FeatherWing. 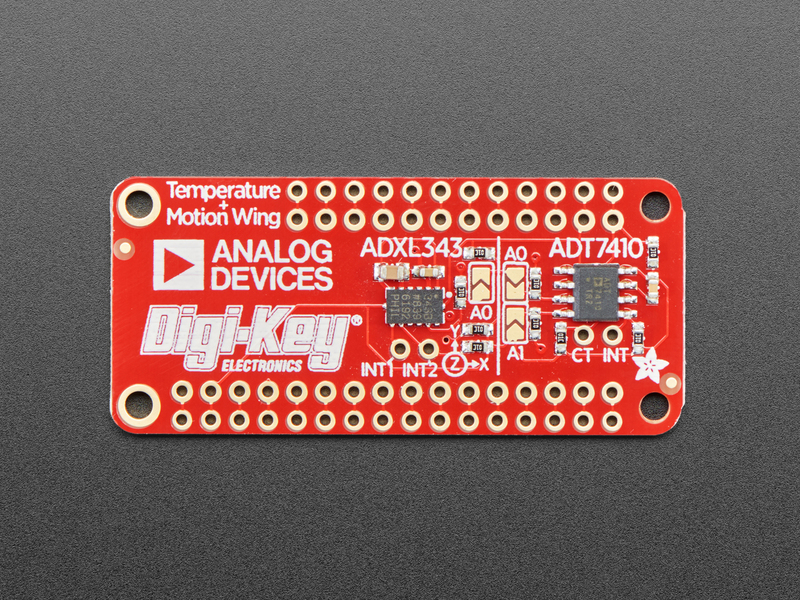 It sports two fantastic sensors from Analog Devices: an ADXL343 triple-axis accelerometer and an ADT7410 precision temperature sensor. Both sensors are connected over the shared I2C bus, so you can use it with any and all Feathers! We also break out the interrupt pins and address-selection jumpers in case you want multiple Feathers or have I2C address conflicts. We’ve got both Arduino (C/C++) and CircuitPython libraries available so you can use it with any Feather board and get data readings in under 5 minutes. See more!